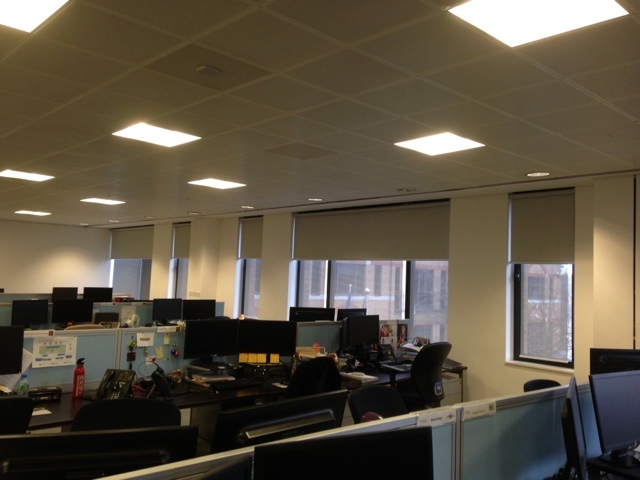 BN I is the world's largest business networking organisation. 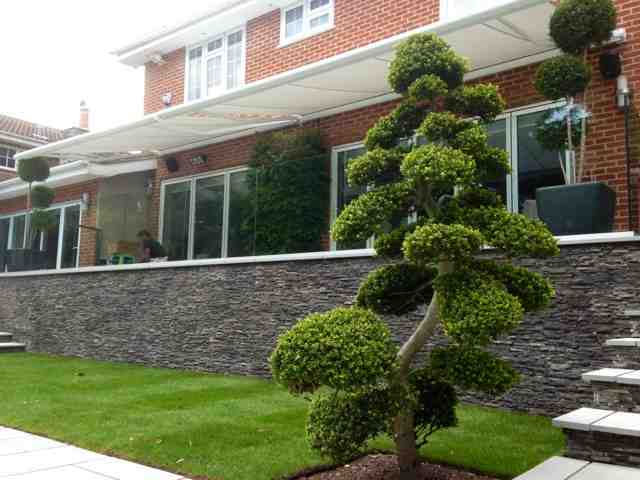 BN I works on the basis that members help each other to gain more business through word of mouth referrals. 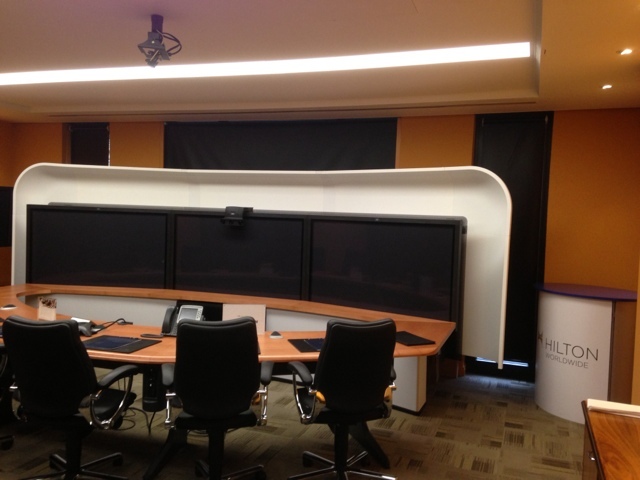 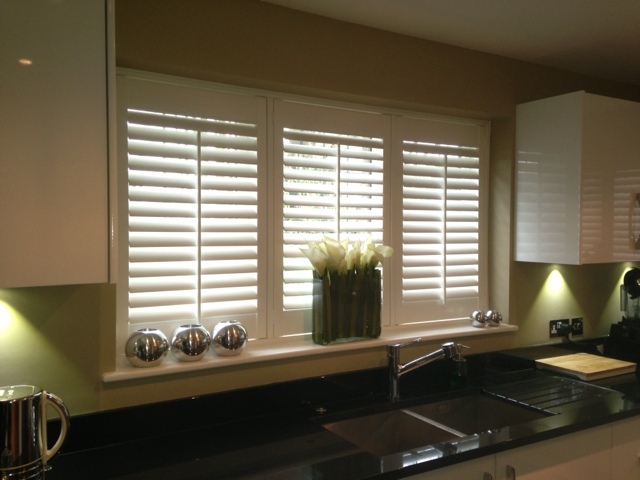 The greatest portion of our business comes from satisfied customers referring us on to other new clients. 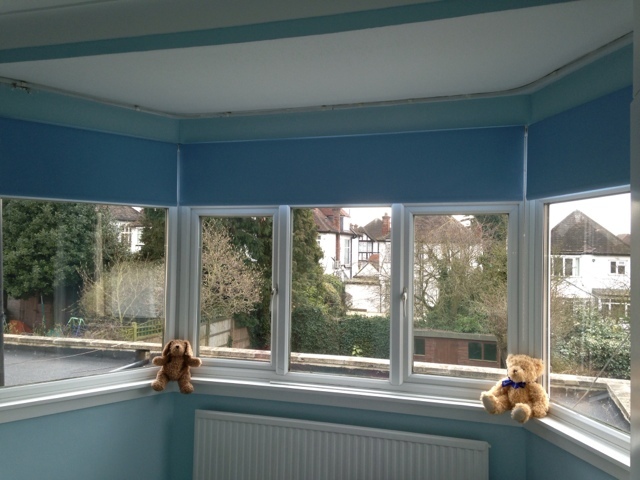 We have been members for over 10 years. 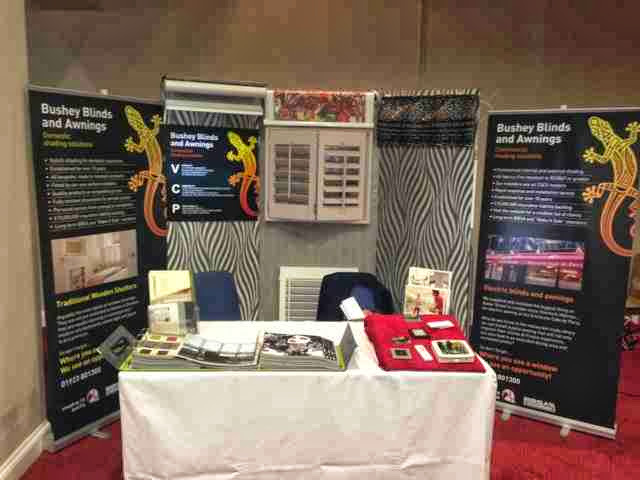 At this year's BN I conference we occupied a small stand to assist with our marketing and here is the picture. 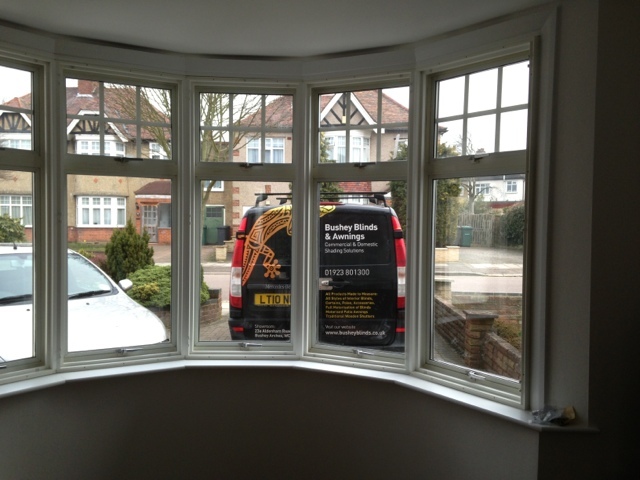 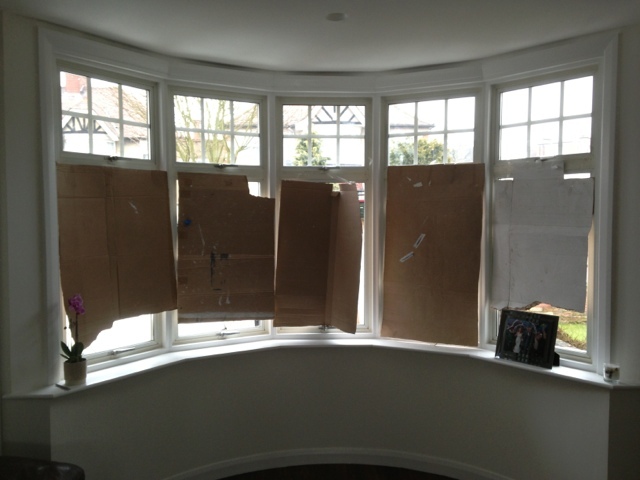 A before, during and after image of a 5 sided bay window. 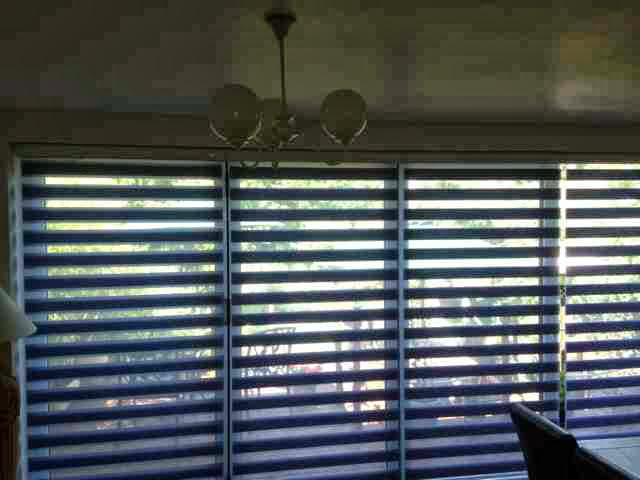 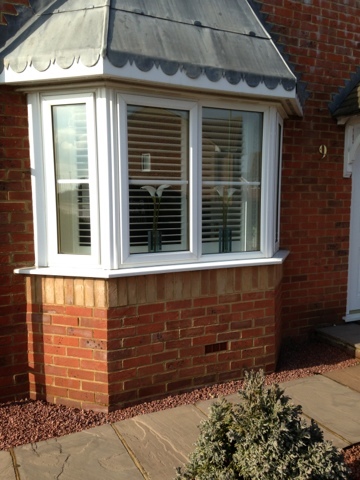 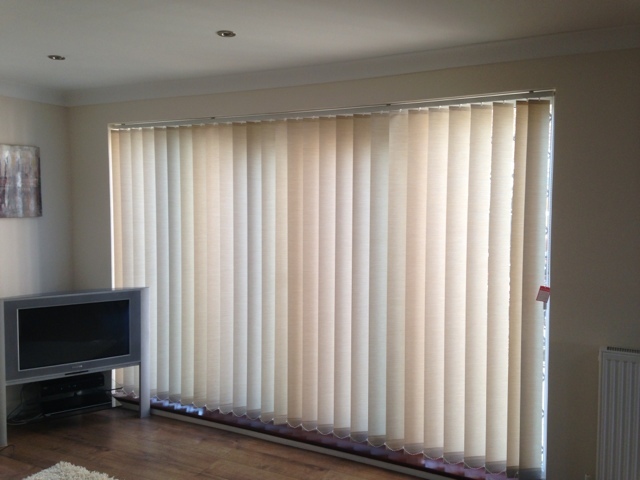 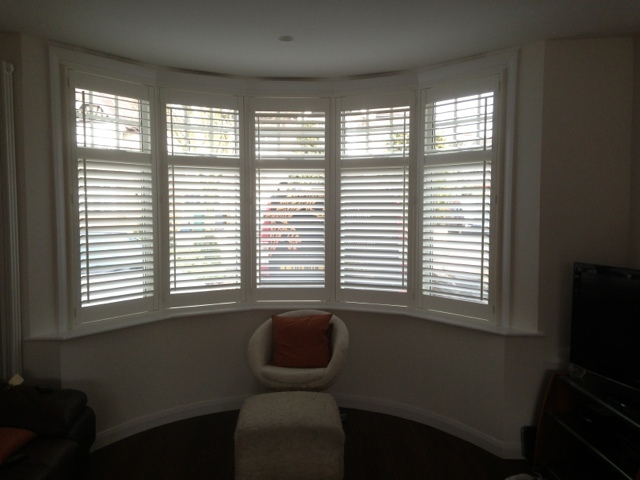 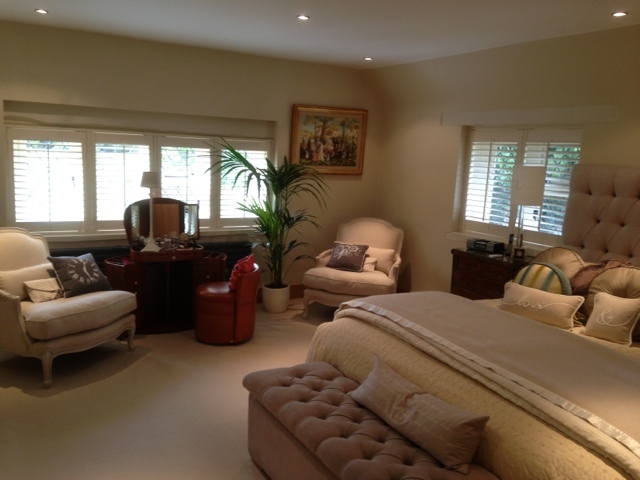 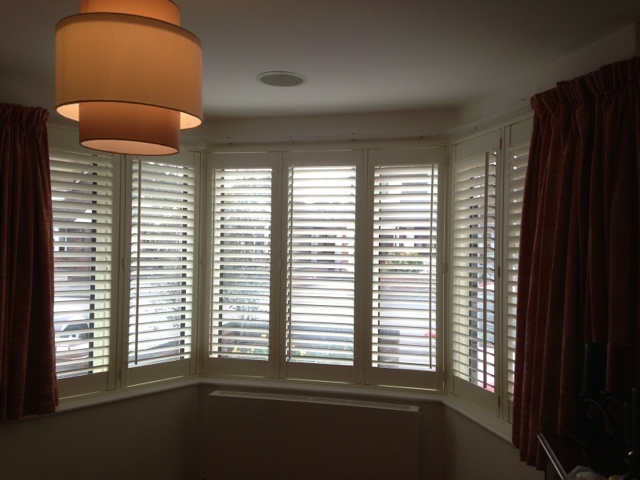 The installation is our standard shutter range with 63mm slats, silk white colour and with tilt rods offset. 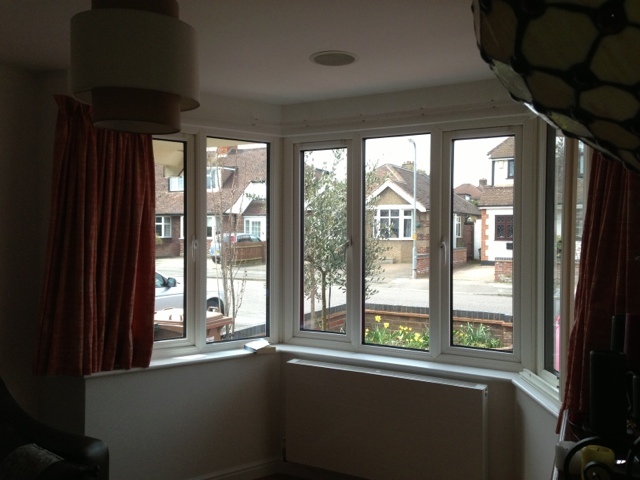 There is also a midrail in line with the upper opening windows to give total control over the light and privacy. Last week saw the completion of our largest wooden shutter installation of the last 12 months. 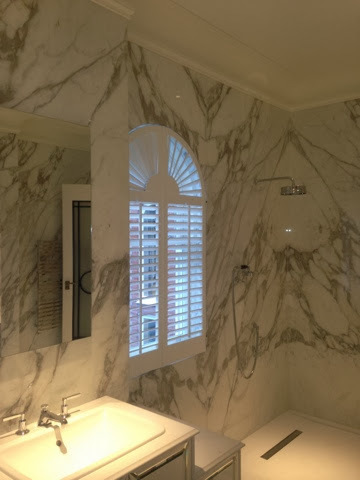 Working with the clients interior designers we were asked to provide bespoke shutters to a large period property in Bristol that is currently undergoing major renovation works. 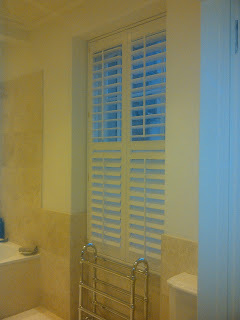 Above is the image from the master ensuite bathroom. 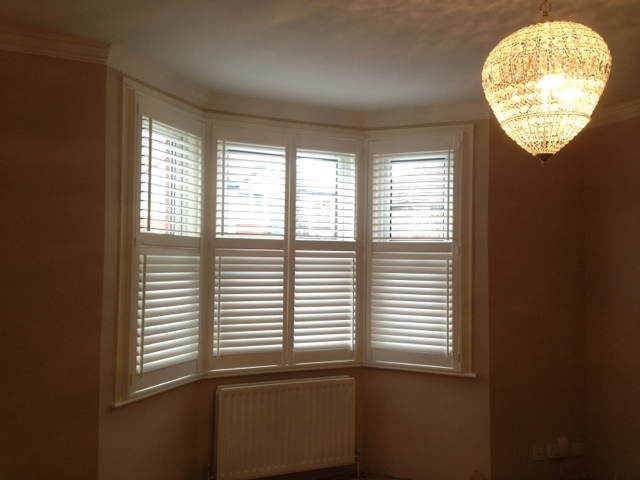 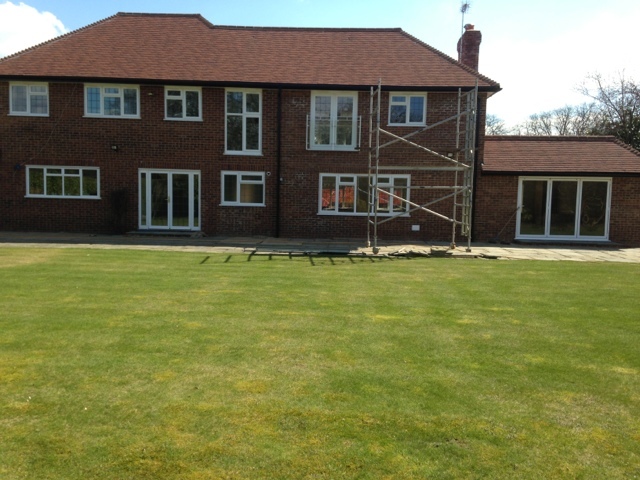 We installed shutters in 19 windows in total, using 89mm slats in a vintage style surround with centre tilt rods and midrails. 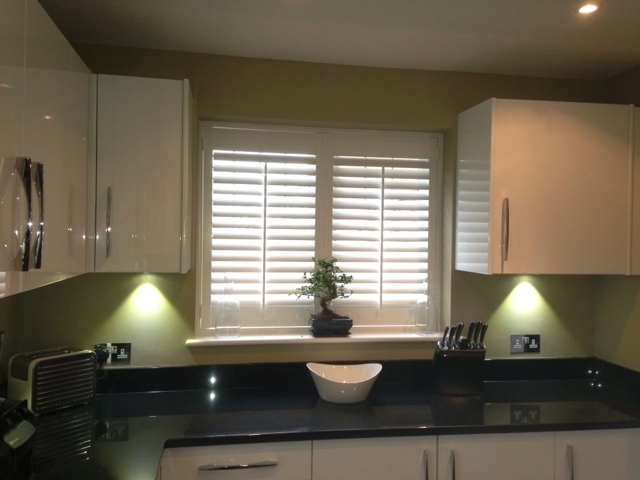 The shutters were colour matched to the paintwork. 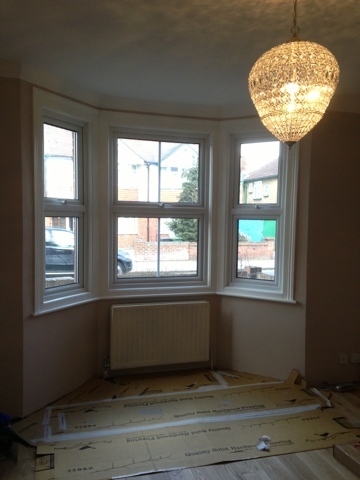 Not every job is a straightforward installation. 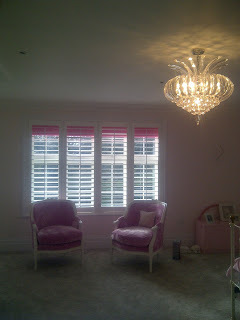 We were given the task of turning a plain bedroom into "Princess Palace". 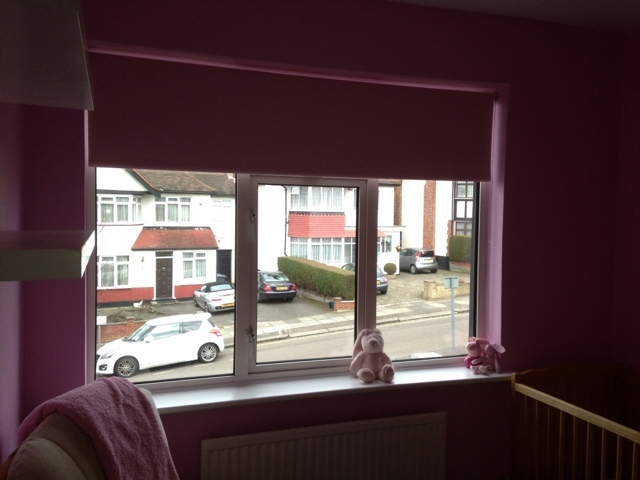 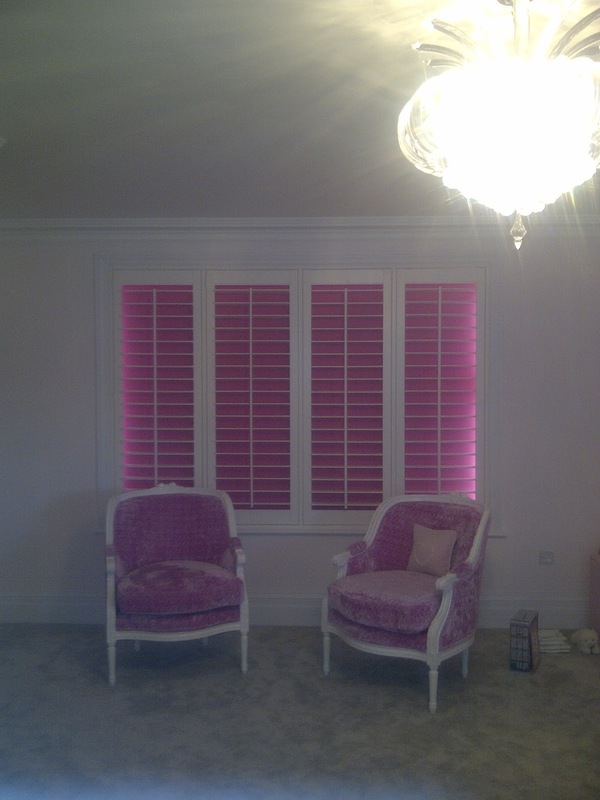 By using the two pink faux suede chairs as the starting point we installed white wooden shutters to the large rear window and installed a bright pink blackout roller blind behind the shutters.